This past week Tim Doyle had his final show in his Unreal Estate line of famous buildings/structures from pop culture at the Spoke Art gallery in San Francisco and it did not disappoint. 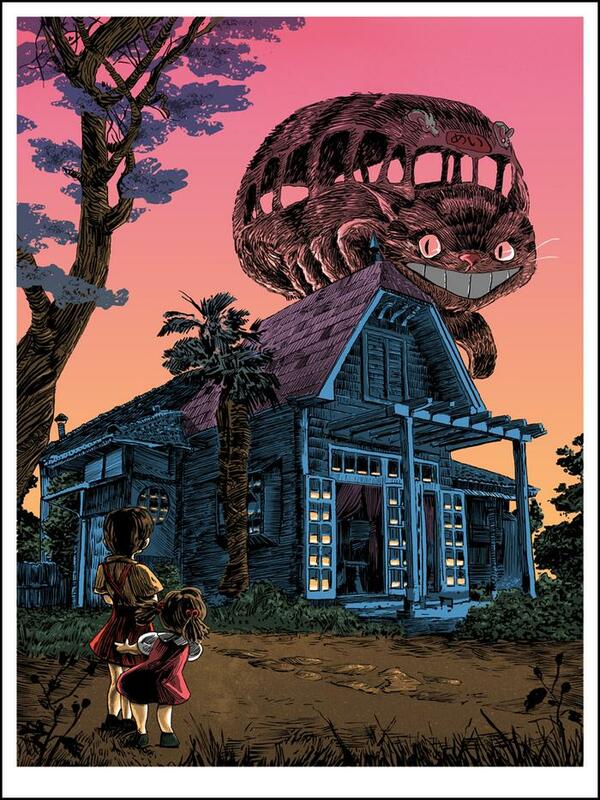 I ordered three prints from the online sale and you can check out some of his work here featuring the Stonecutters, Princess Mononoke, Transformers, and other secret headquarters. 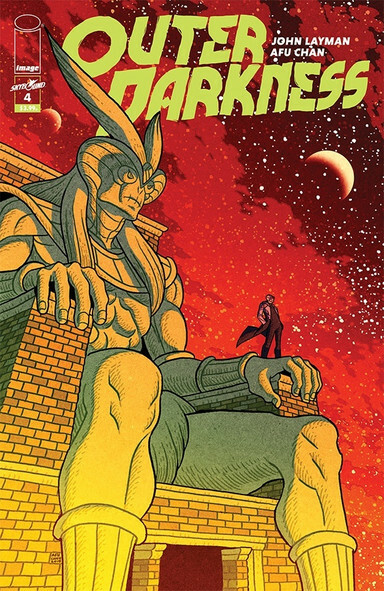 Outer Darkness #4 - I saw a friendly tweet reminding me that the new Outer Darkness dropped this week and that John Layman was quite proud of this particular issue. That prompted me to purchase the second and third books, which slipped past my radar after enjoying the first, and after catching up it is important to note that Layman and artist Afu Chan have something really special in this book. Chan noted being inspired by Aliens and 2001: A Space Odyssey and his art shines through with how vibrant Chan makes the darkness of space feel. A crew has been sent to the Outer Darkness on a highly classified mission to retrieve an individual that is crucial to the war. The captain appears to have his own agenda and is not making any friends in the process. Learning about the concepts of death and rebirth have really fueled this series in a way like no other book I've read. The ethical ramifications of retrieving souls and re-imprinting them on bodies are central to the book and the current twist of having a former God navigating the ship is one to keep an eye on. I am glad I saw that tweet and was motivated to add a few additional books to my pull list this week. 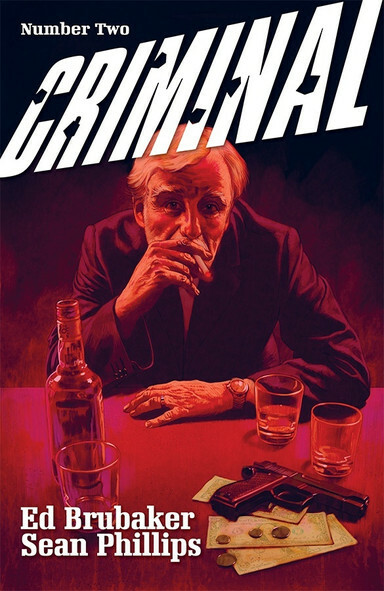 Criminal #2- In a bit of a surprise, Ed Brubaker and Sean Phillips introduce a new story into the one they debuted last month. This book focused on former comic book artist Hal Crane who needed a handler to ensure he attends all of the appropriate events and a comic book convention over the weekend. Jacob, who was an aspiring artist and one of Hal's assistants back in the day, has been hand selected for the job and is trying to understand why. Brubaker and Phillips toss in a couple of clues surrounding the shady death of one of Crane's co-workers and mention that Crane has a reputation for stealing art from editors desk to sell on the collectors market. It was an interesting turn, and one that is setting up a comic book art heist, but it didn't draw me in like the first issue. I am going to trust this team that the slow pace is intentional and look forward to resolving both stories. Gideon Falls #11 - Like any other attempt to contact other dimensions, it doesn't bode well for those who are able to finally break through. Theh Weirdmageddon in Gravity Falls was a result of one such breach, the many horrors in Fringe, and it appears that there is a being between the realms that has been waiting for someone to return to the black between the different worlds in Gideon Falls. 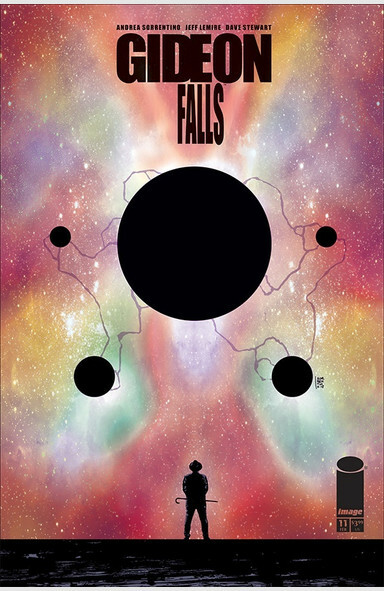 This was a very surreal issue that left us in a situation where there is now an invader in Gideon Falls and the implications are likely to change this series substantially.